Nicki Minaj Say Spotify Retaliated Against Her for Partnering With Apple Music - Pop It Records - NEW MUSIC EVERYDAY! Nicki Minaj says a retaliation campaign by Spotify harmed the success of her latest album, Queen. The retribution included a refusal to honor an agreed-upon promotional campaign on Spotify’s platform, according to the artist. Updated, Monday (August 20th): Spotify has now responded to the accusations. See below. This sounds like a pretty ugly accusation, though Nicki Minaj now says that Spotify refused to promote her latest album because of the artist’s involvement with Apple Music. According to the rapper, a pre-release promotional push involving a dedicated radio show on Apple Music’s Beats 1 prompted the payback. The retaliation apparently included a flat-out refusal by Spotify to honor an agreed-upon album promotion on the streaming platform. 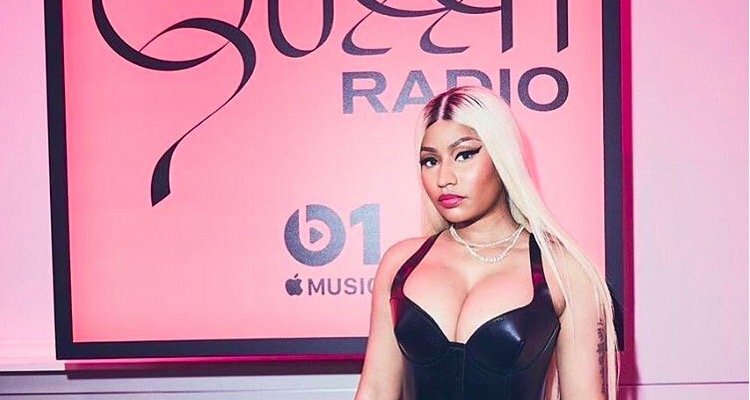 In a series of tweets, Minaj noted that Spotify wanted to ‘teach her a lesson’ for working with Apple Music to construct a dedicated radio show called ‘Queen Radio’. On August 8th, the Beats 1 show was used to promote the album and generate a major pre-release event. Spotify doesn’t have a Beats 1 radio equivalent, though the pre-release arrangement apparently drew the serious rebuke. The tweets strongly suggest that Spotify directly relayed its decision to pull its promotional efforts to the artist or her representatives. Updated: Spotify has now issued the following statement regarding these accusations. Queen is Nicki Minaj’s fourth studio album, released by Young Money Entertainment and Cash Money Records. The album, released on August 10th, featured a slew of high-profile guests, including Eminem, Ariana Grande, Lil Wayne, Foxy Brown, The Weeknd, and Future. Queen ultimately debuted at number two on the Billboard 200, with 185,000 ‘album equivalent’ units. The top-ranked album was Travis Scott’s Astroworld, which scored 205,000 units in its second week, according to Billboard’s tally. Minaj partly blamed that disparity on Spotify’s alleged retaliation. This isn’t the first time that Spotify has been accused of retaliating against artists for partnering with Apple. Back in 2016, Spotify was hit with multiple accusations of heavily retaliating against artists who brokered Apple Music exclusives or partnerships. The situation came to a boil after Spotify was accused to burying two Frank Ocean albums, with the New York Times among several news outlets reporting the allegations. “Executives at two major record labels said that in recent weeks Spotify, which has resisted exclusives, had told them that it had instituted a policy that music that had benefited from such deals on other services would not receive the same level of promotion once it arrived on Spotify,” the New York Times’ Ben Sisario wrote. Most interestingly, the Bloomberg report specifically mentioned retaliation against artists appearing on Beats 1. “The company has threatened to use its retaliatory practices on lesser-known artists who introduce music on a Beats One show hosted by DJ Zane Lowe, an architect of Apple’s radio service,” the Bloomberg report continued. At the time, Spotify declared the accusations to be ‘unequivocally false’. Incidentally, Minaj also accused Billboard of carelessly counting albums purportedly packaged within ‘season pass’ bundles to Scott’s upcoming Astroworld tour. Minaj says it’s unclear if the bundled albums were actually delivered.